Harbor Marine Maintenance & Supply was established in 1979 and has developed a reputation for providing boaters, outdoor enthusiasts, and everyone in between with the help and products they need. We deal in a wide range of boating, outdoors, and recreational activities, including covered full service boat repair, and have a helpful staff. Our mission is to help people enjoy their boating, outdoors, and recreational activities. We strive to be an asset to our customers, a company that people can rely on. To carry out this mission, we provide a wide range of services and products, along with useful and helpful information from our knowledgeable staff. At Harbor Marine we understand the importance of diversity in the workplace. A diverse staff with a wide range of backgrounds adds value to our company and improves and expands our view of business and the world. We treat all employees and customers fair, regardless of race, gender, religion, or age. View pictures from our company and events on our Facebook gallery. High-resolution Harbor Marine imagery and logos for use in press. Harbor Marine is always looking for talented and motivated people to join our crew. 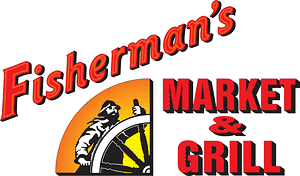 Formerly Stow-Away Grocery, Fisherman's Market & Grill is our convenient grocery store, cafe, and restaurant located right inside the main Harbor Marine building. We open earlier than the main store and offer a wide range of foods and beverages, including fresh-made breakfast and lunch!